Our sincere thanks to all of the E4E volunteers. Their support has given our students so much more confidence with their own abilities to succeed and provided them a platform in which to develop their individual skills. This has helped students not only to be better prepared for their post 16 plans, but also enabled them to gain fantastic tips from employer’s in being successful and determined to achieved. We know that preparing young people for the world of work when they are still at school is not always easy. That is where E4E comes in. 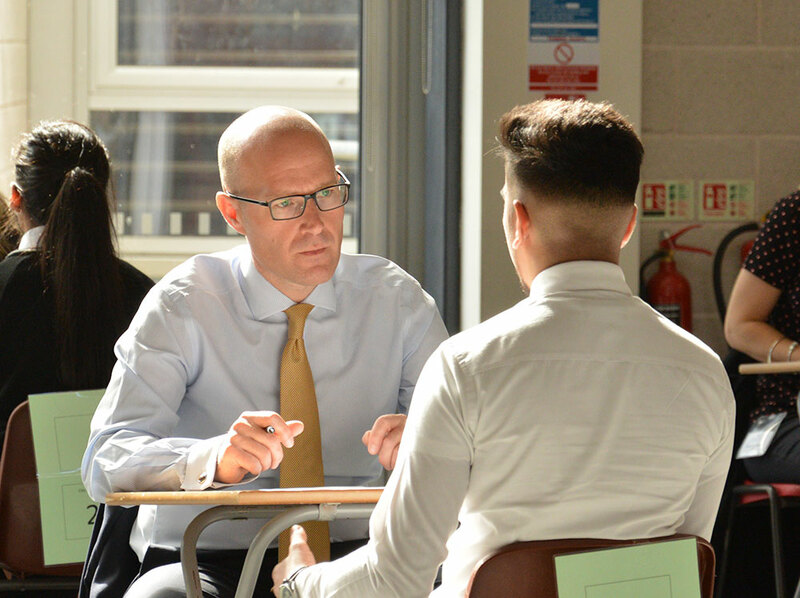 We provide the support, connections and experience to make it simpler for school staff to deliver strong career guidance to their pupils. With our growing network of over 375 experienced business volunteers, we give school pupils the support they need to gain real world of work awareness, take positive steps towards a successful career right for them, equip them with valuable employability skills – such as CV writing and job interview techniques – as well as give a hands-on opportunity to build a network of contacts with potential employers. E4E supports thousands of young people across Derby schools every year. We are dedicated to help our young people prepare for the world of work and fulfil their true potential. We provide skill building activities, employability training and promote careers awareness of the brilliant opportunities right here in Derby and on your doorstep. If you want to know more about what E4E is doing in your school or would like us to do more. Please do not hesitate to contact E4E. We are continually recruiting new volunteers who are passionate about working with young people and share our vision.